I seem to be having the same dialogue everywhere I turn. IoT is still a complex integration, and the ecosystems are not fully formed. Interoperability is not in sight even within verticals with a history of their own protocols. On the positive front, the cloud has made IoT more accessible and added to the overall ubiquity. I am not sure that the cloud and connectivity should be synonymous. Perhaps NFV/SDN solutions will make the blend more accessible. However that is not going to solve the current integration problems. I see in problems of integration in three areas. The first is the last mile issues. Connectivity is a battle royal right now, with over-the-top solutions dominating the market. Mobile operators are looking to differentiate at the radio layer with ISM and LTE Cat 1solutions. In some cases they will partner or adopt LoRa, narrowband, RPMA or Sigfox. All of these are valid strategies but force an integrator to have a clear objective in mind before choosing the components to an IoT solution. This includes the ability to calculate the total cost of ownership over a decade. In the near term, the hype regarding 5G is causing additional confusion. Many companies point to IoT as a benefactor, and one other media company is looking to run a 5G and IoT event. Most of the 5G technologies are aimed specifically at solving human density and demand problems. While I have many friends committing to support 5G, it’s hard for me to grasp how beam forming and 28GHz are going to be used with sensors. From a network architecture standpoint, gateway strategies will most likely be used for IoT implementations. In my humble opinion, if a gateway is needed I think cheaper alternatives other than a 5G buildout already exist. 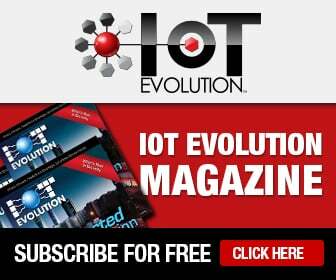 The second issue is the dominance of consumer IoT solutions. Amazon, Apple, and Google are dominant in development. However they represent a consumer focus and do not have the need for interoperability that enterprises require. Winner take all strategies dominate. While they all use web programing languages, their hardware is often closed. Like the apps wars we still have with smartphones, smart homes are manufacturer dependent. The dangers for IoT companies are closed systems that rarely scale and limited manageability. While the web is a universal language, the look and feel is confusing. In talking to real estate developers of new hospitality and apartment complexes they find the consumer-oriented products do not enable mass deployments. This should mean that HVAC systems from more traditional companies are preferable; however, their interfaces are often industrial in their look and feel. At CES we will see the consumer-side developments continue to dominate the news. This will lead to requirements on integrators to replicate new features, many of which are proprietary. Finally, I will bring up security. Now security is a lot like religion. You probably have it, but it’s not observable. For most integrators, the security requirements start and end with the installation requirements. The concept of constant vigilance is boring and costly. Often the discussion centers around existing protocols that are designed for mobile phones and employee management. As the recent denial of service attacks using IoT equipment showed, the selection of hardware and the testing of systems have to be part of the plan. In large enterprise integrators this may be achievable. For most small and midsize implementations it will probably be wished away. And while the enterprise may think it can achieve security through obscurity, the odds are likely that bad sourcing will lead to unobserved breaches. I invite anyone interested in these topics to join us at the IoT Security Summit Feb. 10 in Fort Lauderdale, Fla. The bottom line is that integrators, like IoT itself, have to go through a digital transformation where their customer needs to understand that additional services are part of the requirement for successful implementations.